People don’t like to talk about funerals and that’s totally understandable. However, they happen to us all! Some people even go as far as planning for their own funeral. Many more at least make sure that the occasion isn’t a financial burden on others. But, we’d all agree, it is important to give our loved ones, family and friends a fitting send off. There’s one great way to do this: hire a funeral jazz band. Of course, jazz funerals are steeped in tradition – New Orleans tradition. In this wonderful corner of the world, the sound of jazz is as synonymous with funerals as a wreath of wearing black. To find out more about the tradition, check out our blog New Orleans: The History of Jazz Funerals. And even if you don’t want to go the whole hog with a typical New Orleans jazz funeral, there’s still no reason why you shouldn’t hire a funeral jazz band. Hire a funeral jazz band: It’s all about the jazz! Jazz music is a special breed. It is a form of music that fits all occasions and suits all seasons. For a celebratory event there’s nothing better than jazz. For a party of general ‘let your hair down’ shindig – again, there’s better than jazz. And the versatility of jazz extends all the way to funerals. There really is nothing better. Hire a funeral jazz band and be amazed how well the music fits the occasion. And how much it lifts the mood. It’s a clear sign of the versatility of jazz music that Silk Street Jazz are an act that wears many hats. For example, we are a Wedding Jazz Band. Not only that, we are perfect for Corporate Entertainment. And Silk Street Jazz are happy to answer your call if you decide to hire a funeral jazz band. 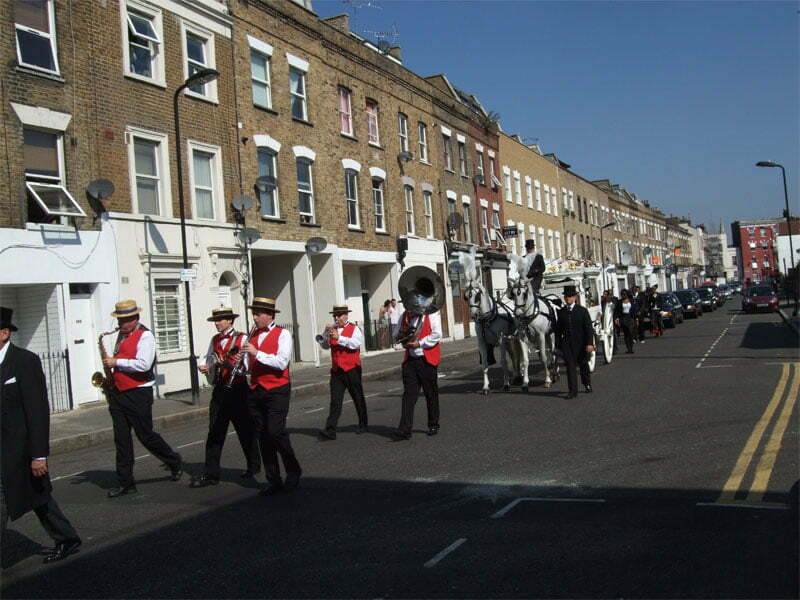 We have extensive experience of performing at funerals. We will work with compassion and understanding to ensure that what is a time of sadness will become a moving and memorable experience for all. Get in touch today to find out more.